It may have already been almost two months since Princess Charlotte was born on May 2, but it seems like just yesterday that she was born and the world waited with baited breath to find out what her name would be. Fortunately, Kate Middleton and Prince William haven't disappointed. The photos of Charlotte have been both adorable and plentiful (especially the portraits that were recently done of the baby and her big brother, Prince George) and I can't wait to watch them grow up together, all royal and cute and stuff. The first step? Her baptism. 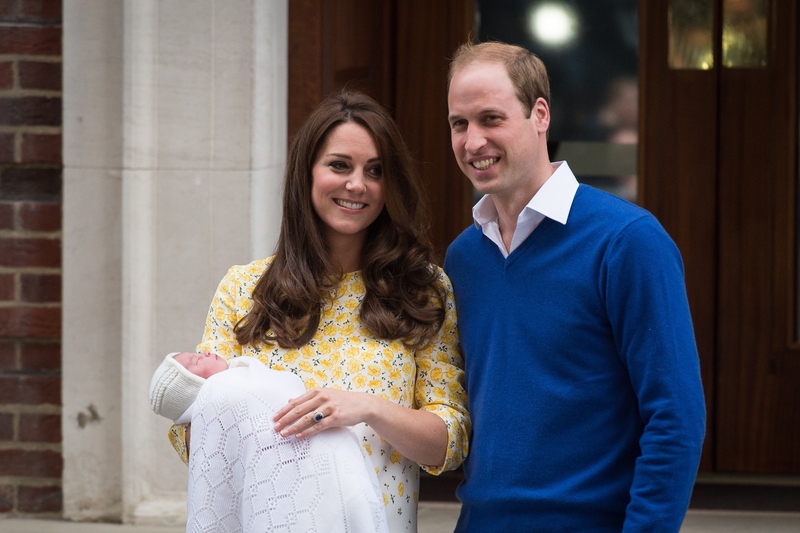 On Sunday, July 5, Princess Charlotte will be christened, and I have a feeling it's going to be a gorgeous ceremony. According to Us Weekly, the christening is happening at Sandringham, England's Church of St. Mary Magdalene in a private church service, although fans of the royal family are welcome to celebrate at the church's paddock — aka where I would definitely be on Sunday if I could afford to hop across the pond. Most of her family will be there, including Queen Elizabeth, Prince Charles, and Middleton's parents. The palace even released a statement about the shindig, and I'm keeping my fingers plenty of photos will be taken for me to gush over, like when George was baptized two years ago. “The Duke and Duchess are hugely grateful for the warm wishes they have received since Princess Charlotte's birth - many of them from local people in Norfolk - and are delighted the paddock can be opened on the day of the christening,” the statement says. Unfortunately, those are all the details the palace has decided to release so far, so it's left to me to imagine what else will go down on Charlotte's big day. And as long as these things happen, I'll be good with missing out. The bad news: On the day of the christening, Harry will be in Namibia working with the Nature Conservatory and the Save the Rhino trust, and while I totally get that saving the rhinos is super important, he needs to be there for his niece's big day. You know, that she probably won't remember at all. But still! He will be dressed up in a very tasteful outfit (as always) and although I suspect that a christening is quite boring for a toddler — and for adults, too, really — I can't wait to see the new batch of portraits that will inevitably come from the event. Cutest siblings ever! Although let's be real: When has it ever not been? I realize she probably adores her great granddaughter, but the Queen looking so over whatever it is that she's doing has got to be my favorite meme of all time. But whether she's bored or not, I have no doubt in my mind that Princess Charlotte's day will be full of happiness and love (and probably also presents), and the photos that come out of it are going to be ridiculously adorable. Royal babies are the best!